If you are looking to do a heavy metal toxin cleanse you should seriously consider doing so with spirulina. The biology of spirulina allows it to naturally absorb toxic and unwanted heavy metals from your body. It is a proven way to detox your body. But before we get into that, why are heavy metals bad for you? Heavy metal toxicity can effect all people and in many harmful ways. Its effects are very noticeable in children due to the developments that occur at young ages. In children this is often linked to developmental problems. Lower IQ’s, behavioral disorders, and many others are associated here. Mercury is one of the more commonly known heavy metals for its toxic effects on the body. Having mercury poisoning is often associated with memory loss, depression, irritability, and numbness or burning sensation of the skin. It literally makes people go crazy. When heavy metals get into your body they tend to accumulate and disrupt function in organs that are vital to your life, such as the brain, heart, kidneys, liver, etc. They displace nutritional minerals from where they need to be so that they are no longer helpful. Different heavy metals effect your body in many different negative ways. The liver always takes a big hit when you have too much heavy metals in your body. 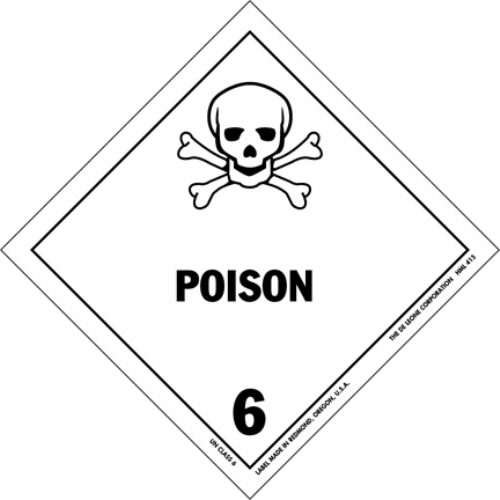 Since they are toxic it is mostly up to the liver to remove them from your bloodstream. If you have a lot of heavy metals in you, your liver is working overtime to get them into the large intestine so that they can be put out with the waste. What makes spirulina so great for absorbing heavy metals? The very structure spirulina is what makes it so great. Spirulina is a bacteria, which are single celled organisms. 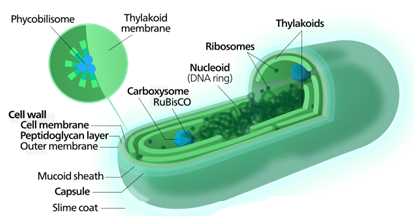 Spirulina has soft cell walls, which benefits it in a number of different ways. Its soft cells are what allow it to easily absorb toxins in your body. Once absorbed, your body can easily get rid of them through the rest of the digestion process. It also is partly the reason why spirulina is easily digestible. Because your body does not have to break the cell walls to be absorbed. This characteristic of spirulina can also be harmful. Just like it can absorb heavy metals and toxins from your body, it can also absorb heavy metals and toxins from the environment! Spirulina is well known for being harmful from too much heavy metal content when it comes from BAD sources. This is why it is extremely important that you get your spirulina from a credible source. If you buy from sources that don’t have serious quality control regulations put in place there is always that chance that their spirulina is grown in waters that contain unhealthy amounts of heavy metals and other toxins. One of the great qualities of spirulina is also what makes it not so great. Its just too bad isn’t it? Millions of people in bangledesh and sorrounding countries suffer from drinking water that is poisoned with arsenic. A lot of this is due to the massive amount of wells that were financed by UNICEF and the World Bank in the 60’s and 70’s to provide safe drinking water. And unfortunately environmental testing for heavy metals such as arsenic wasn’t required at the time. With millions of people dying from cancer caused by arsenic poisoning, scientists struggled to come up with a solution. To this day there is no GREAT treatment for arsenic poisoning. There are only treatments that help. And spirulina is on of them. In a study performed on 40 chronic arsenic poisoned patients in Bangledesh, spirulina and zinc showed to reduce arsenic poisoning by a lot. The patients supplemented 250mg of spirulina and 2mg of zinc two times a day for 16 weeks. With the supplementation there was an increased arsenic excretion through urination. And at the end of the study it was determined by hair analysis that the arsenic levels had decreased by 47.1%. Theres a link below if you want to look at the study. Whats a good spirulina dosage for heavy metal detox? I can’t seem to find any literature on what the recommended spirulina dose is for detoxification purposes. But you can see from the study mentioned above that a very small amount of 250mg twice daily had a significant effect. Most spirulina products out there recommend more than 500mg for their daily doses, so that should be good. 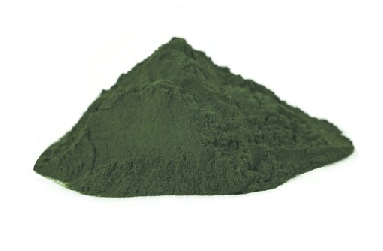 The spirulina powders usually have higher recommended doses than the tablets or capsules. I’m taking around 11 grams of spirulina a day right now so I know that my body is pretty well cleansed of heavy metals. Thats it folks! If you have any questions or comments leave them below please! 1) “Efficacy of Spirulina Extract Plus Zinc in Patients of Chronic Arsenic Poisoning; a Randomized Placebo-Controlled Study.” Misbahuddin, M, et al. Bangabandhu Sheikh Mujib Medical University, Dhaka, Bangladesh. Clin Toxicol (Phila). 2006;44(2):135-41. Wow Spirulina sounds like the real deal to rid myself of heavy metal. You are right about checking out who makes the product because water is so full of metal nowadays that we all have some in us. This should be promoted to city officials around the country. Great review! I know it should receive more attention. Its proven to work! What happens to the metals once they are absorbed? Also, does this product list all of the metals it will help remove and are they all harmful? Last, how is it working for you? After the heavy metals are absorbed by the spirulina they are easily excreted with your waste. And spirulina can remove a bunch of different heavy metals, mercury, arsenic, lead, zinc, the list goes on. As for me, I don’t actually know if it has removed heavy metals from my body because I have never been tested. But I will say that I feel better and healthier overall. But that could be due to a number of other reasons other than its detox properties. Is spirulina a type of bacteria like acidopholus, the one we consume to increase flora in our digestive system? I also heard activated charcoal can also help. Also if the liver absorbs all that toxicity, would you recommend people just drink more water to cleanse the liver or is that not enough? I don’t know much about acidopholus, so I can’t help you there. Drinking more water definitely has its benefits and can help flush toxins, such as heavy metals, from your body. But as far as how effective water is by itself, I don’t know. Really great article! I have never heard of spirulina so this was fascinating to read! Should we be taking certain tests regularly to determine the levels of heavy metals in our bodies? Just wondered how long a person would have to take spirulina once you begin a cleanse? What would the recommended frequency be of doing these cleanses? Thanks for all the helpful information you have given! I don’t think taking tests to measure heavy metal content in your body is necessary for most people. Unless you come from a region where heavy metal poisoning is common then it would be a good idea. As far as the dose goes, its hard to say. In the one large study that was conducted in Bangladesh on people who suffered from arsenic poisoning the subjects were given 5 grams per day and they saw great results. I’m taking 10 grams per day so I know I’m doing pretty well, although I have never been tested. Hi there, thanks for this great article, and yes there should be more awareness given to it’s detoxing abilities. What shocked me though was the fact that some spirulina can be harmful. I just thought it was an all round great product no mater where you got it. Thanks for making me more aware. Thank you. The fact that it can be harmful, due to its ability to absorb toxins from its environment, cannot be overlooked. The quality of the source is key when it comes to spirulina. How does the body absorb the heavy metals in the first place, through our diet and drinking? That’s crazy, I had never heard of such a thing! If spirulina is indeed the solution, I will most definitely look into this and start with the supplementation. Consider me heavy metal cleansed! Yep, through your diet. Water is a major source of a lot of different toxic heavy metals. And it occurs naturally so watch out. Spirulina is definitely “a” solution and hopefully its the solution you are looking for.